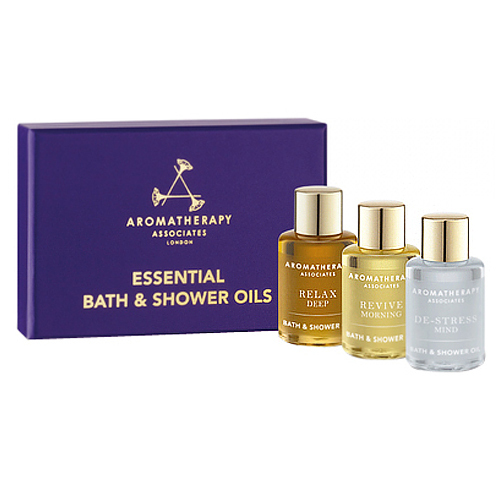 A trio bath and shower oils that helps those nasty muscular aches in your joints after a hard day's physical activity. The Aromatherapy Associates Essentials Relax, De-Stress & Revive collection will help your body unwind and enjoy the greatest things in life while recovering energy to face the trials and tribulations of mundane life. They say the best things come in small packages, and this trio of oils is no exception. 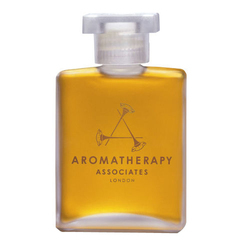 Aromatherapy Associates Essentials Relax, De-Stress & Revive is the ultimate way to pamper your body and mind, whether you need relaxing, reviving or de-stressing, you can take your pick! 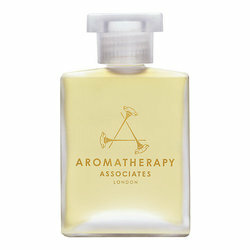 Lavender, ylang ylang, petitgrain and coconut oil work to relax your body and mind. Lavender, rosemary, ginger, black pepper, coconut oil are the ingredients in this amazingly effective oil, specially designed for those days where you need to switch off and have some 'me' time. Pink grapefruit, rosemary, juniperberry, pine, coconut oil work in harmony to give you a jump start during that sacred morning shower. • Each bottle contains enough for 3 baths. • Add 2 capfuls to full bath or apply to body before showering.